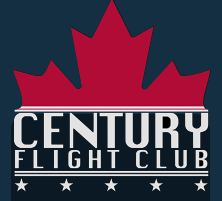 In July 2010 over 100 small airplanes flew to Whitehorse, Yukon Territory from many parts of Canada and the United States as part of the Century Flight Club's Midnight Sun Challenge. This is the photo log of two of those planes. Four members of the Borden Flying Club, flying in two planes, made this historic trip. This is their story as told in pictures. Paul & Fred flew in Paul's Rockwell Commander while Tom & Adrian flew in the club's C172. We departed Edenvale on July 12th, 2010 flying, between the four of us, over 11,000 nautical miles (20,000 kilometres) on our round trip journey. We flew the entire trip together though not in formation. Initially, Adrian & Tom would depart each leg first, in CMQ, followed by Fred & Paul in GZZ as the Rockwell Commander was the faster airplane. It turned out that this just caused us to spend the first 30 minutes of each flight watching for the other as GZZ caught up with and eventually passed CMQ (the Cessna 172). We soon realized that it was better for GZZ to head out first, immediately followed by CMQ, and avoid the problems of having to spot one another while airborne, a remarkably difficult thing to do. Fred & Paul, in GZZ, would of course arrive ahead of Tom & Adrian; usually by about 20 minutes. By the time GZZ was fuelled, CMQ would arrive. In addition to the 2400 nautical miles (4300 km) to get from Edenvale to Whitehorse (4800 return), our day trip to Dawson City was another 255 nautical miles (460 km) each way. We also put a further 150 nautical miles (270 km) under our respective wings on the tour around Mt. Harvey. In total each plane flew roughly 5500 nautical miles (10,000 km) over the two weeks that we were on this trip. Our time spent in and around Whitehorse. A spectacular aerial tour along the Klondike Highway between the Alaska/Yukon border and Whitehorse. The images here represent only a small fraction of the estimated 2000 stills and 10 hours of high definition video that, between the four of us, we took. We met many fabulous people, both in Whitehorse and along the way, and were afforded an opportunity to see much of this great land of ours. All of them, whether they knew it or not, contributed in great measure to the success of our trip and made it an adventure that exceeded our wildest expectations. We hope that you enjoy these photos as much as we did taking them.